Made by a Master craftsman, exceptional solo in silver with diamond brilliant cut Brown of 0.21 carats total weight. Weight in silver 2.80 grams. 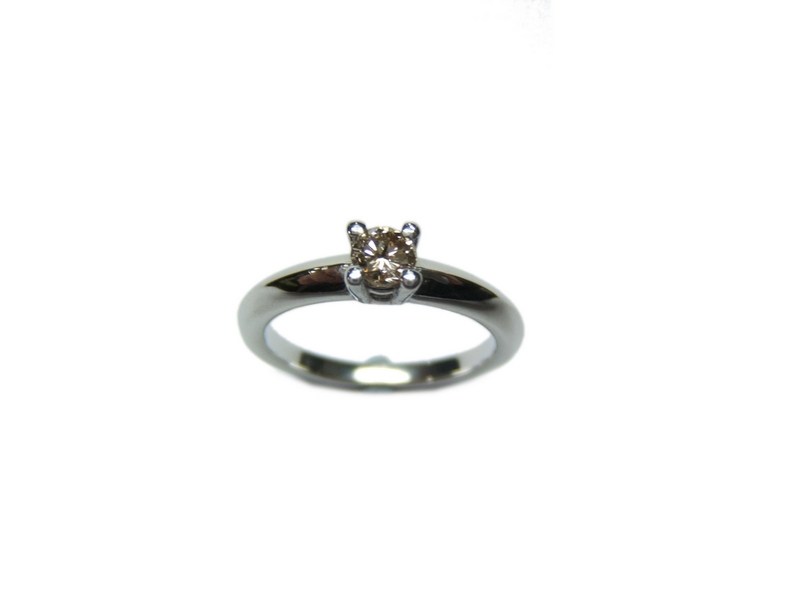 Measure ring size 13 or size 53, deearring on the lastra.